Lightning Bolt was born in Hawaii in 1971, by its creators Gerry Lopez and Jack Shipley. Forty-four years later the brand has matured and re-imaged itself with it’s SS15 collection. The core theme Lightning Bold centres itself upon, is the individual’s connection between themselves and the natural environment, through the sport of surfing; allowing the individual the luxury of self expression. But enough of philosophy! Lightening Bolt models their designs around surfer wear thus opening itself up to functionality and durability of it’s clothing in and out of the water. The SS15 range never loses sight of the designers’ true values. The use of organic fibres helps keep them true to their roots within the surfer community. The brand’s emphasis is on careful precision and quality within each detail of stitch and trim. Focusing much on durability, the collections leading features include waterproofing, technical closures, industrial built seams with a fresh interior finishing. 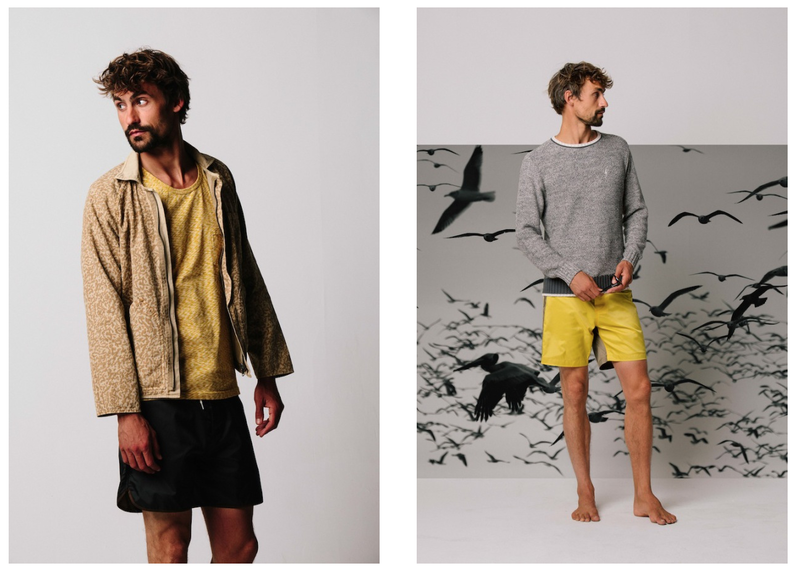 The collection features an array of jackets, pants, shorts and knitwear, each one produced in a range of various, differing fabrics to serve purpose, in or out of the water. The colour palette of the season’s collection are indigo blue, pastel greens and yellows with other shades of rich red. Perfect colours to make up your perfect wardrobe this summer. Lightning Bolt Spring/Summer 15 collection is expressive yet subtle. In a way, the perfect juxtaposition between the two. Collection is dropping into stores and their website end of January, early February. Stockists include Oi Polloi, Coggles, Garbstore, Commonn.